Megabytes, Gigabytes, Terabytes… What Are They? These terms are used in the world of computing to describe disk space, or data storage space, and system memory. Want to know how many bytes are in a gigabyte, or megabytes in a terabyte? You are in the right place. A few years ago, hard disk space was described in terms of 'Megabytes'. Today, 'Gigabytes' and 'Terabytes'; are the most common terms associated with digital storage. But what are they? Bytes are basic and physical unit of information in computing and digital communications! At the smallest scale in the computer, information is stored as bits and bytes. In decimal notation, multiples of bytes are expressed in powers of 10. However, in the computer and information technology fields, multiples are expressed in powers of 2. The only thing there is to say about a Brontobyte is that it is a 1 followed by 27 zeros! No one knows why this term was created. It is highly doubtful that anyone alive today will EVER see a Geopbyte hard drive. 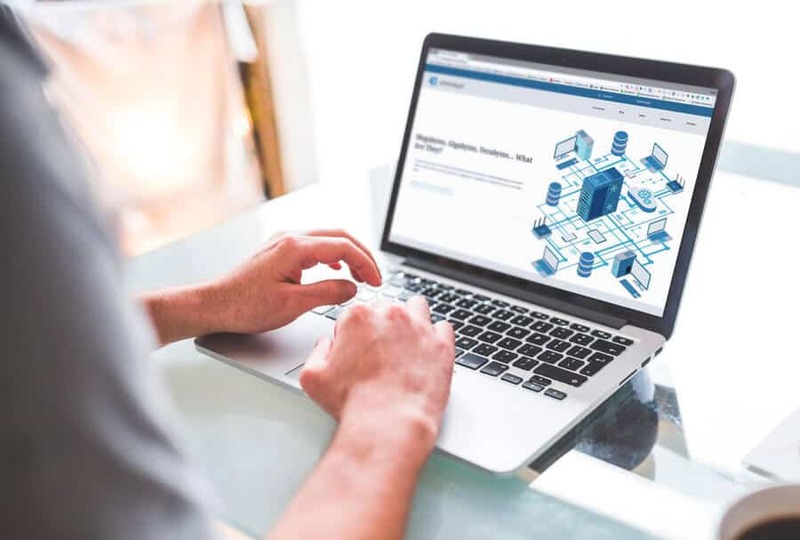 The Whatsabyte blog is full of useful information for network administrators, developers, web designers, and hobbyist. Sign up to receive the latest news stories. Looking for an easy to understand guide that outlines bits and bytes? This helpful infographic breaks down bits and bytes and provides real-life examples to help understand their size. It also provides a brief history of the byte and further resources.